The Moment by Aftab Uzzaman is licensed under a Creative Commons Attribution 4.0 International License. Do you make New Year’s resolutions? I don’t find it helpful to make a list of all the things I’d like to change. But a few years ago I started identifying one thing I would like to focus on for the year. Recently I heard this described as more of a “theme” approach to the New Year, rather than a set of resolutions (e.g., lose weight, watch less TV, etc. 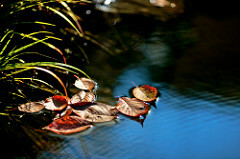 ), resolutions that can easily fall by the wayside by this time of the year (end of February). In 2015 my theme was: get more humor in my life! In 2016 my theme was: to find opportunities to read my work aloud. In both cases, I am pleased to report that I made progress on each of those themes during the year. This year? At first I was stumped. What to do, what to do. Hmmmm. This thought jumped into my mind, and then I thought: how? How could I do this? I’ve tried meditation, I’ve tried focusing on my breath, I’ve tried looking around and noticing where I am. Yet right away my mind slips to … the grocery list. My “to do” items. The emails unsent. Household chores still needing to be done. More recently, tweets, blog posts, story revisions, story submissions, story starts, working on that novel (again) … and, the moment seems to have evaporated instantaneously. But, my friends, I recently ran across an article I had clipped out of our local daily newspaper (The Seattle Times) – “A present you give yourself, and others: being present during the holidays,” by Sara Harvey Yao. Now, I had cut out this article back in early December. The holidays were still not yet upon us, and I thought, this year, unlike other years, I will be less stressed, I will be more available to enjoy the festiveness and the meaning of the December holidays. I will start early, and … fast forward to Dec. 31, and the holiday cards I meant to send out are still sitting on my dining room table, postage stamps rubber-banded to them and all. I did enjoy the holidays, with some wonderful family time, I made it through the obligatory parent-dinner at my mom’s place, and I gave and received lovely handmade and thoughtful gifts from beloved family members. 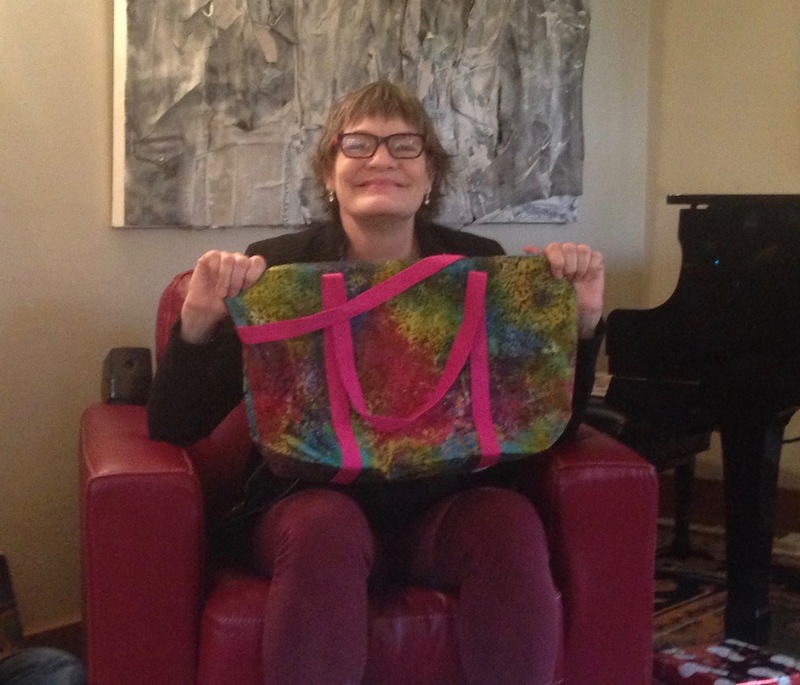 “Handmade bag from my sister Marie 2016,” photo by Theresa Barker. I even got some writing done and I’m happy with what I’ve done. But what about … being in the moment? My New Year’s theme for 2017? As I skimmed through Sara Yao’s article again, I thought to myself, memorize. What are the items I can do to be present . . . memorize them and repeat them to myself whenever I think of it . . . It is too hard to try all at once. Intent, details, breathing, moving, white space, gratitude . . . these are six excellent strategies, but I can’t possibly do them all at once. Then it hit me: why not take it one week at a time? First week: Intent. Focus on what my “deepest desire” is for my life, for my work, for my tasks, for my relationships. Each time it comes up for me during the week, I’ll think about my intent for whatever I’m doing at the moment – preparing dinner, reading a book of Chinese flash fiction, driving my daughter to her Lute lesson, writing a new poem – I’ll take a moment and ask myself, what is my underlying desire for this activity? Expressing love for a family member. Preparing a lovely warm nourishing meal for myself and my spouse. Giving my creative self a chance to express itself in a new story or poem. And, I will allow that intent to fuel my effort, whatever it is. Do you practice mindfulness? If so, how did you learn this practice? I would love to hear what it’s like for ourselves, and for our community. How do you practice mindfulness? What are your challenges? Does it reduce stress for you? How to keep focused, when unexpected tasks and responsibilities arise? 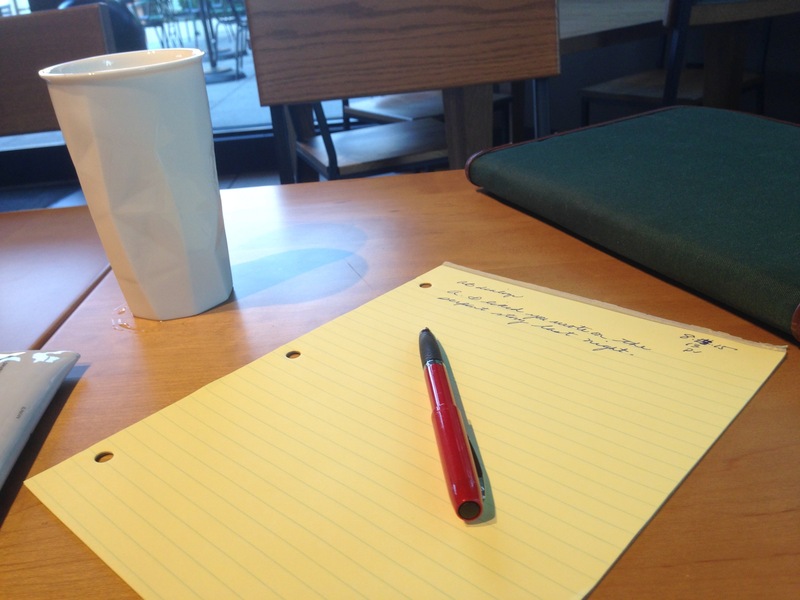 “Writing at a coffee shop 2015,” photo by Theresa Barker. I’m going to try this one week at a time, each week focusing on a single aspect of being in the moment. If you’re curious, feel free to join me! Who knows? We may achieve something like World Peace, if only for a moment, through our collaborative intentional-living resolutions. Return to your intent — When you get swept up in the last-minute shopping, wrapping or food prep, take a pause (even if you think you don’t have time) and reflect on your deepest desire for the experience ahead. By taking a moment to remember your intention, you connect with the power of your heart and after all is said and done, your loving intent is the best gift you could ever give. (From A present you give yourself, and others: being present during the holidays – Sara Harvey Yao in The Seattle Times). Every Sunday evening I will plan to post an update on this project, along with information on the next week’s strategy and a call to join in the project. If desired, you can join in by either adding a reply-comment to my blog post, or by writing your own post about the project. If you decide to blog about this project, please include the following pingback, and that will give me a chance to read your work as well! Whether or not you are able to join me, I wish you peace and the gift of enjoying your own life and your own creative expression. 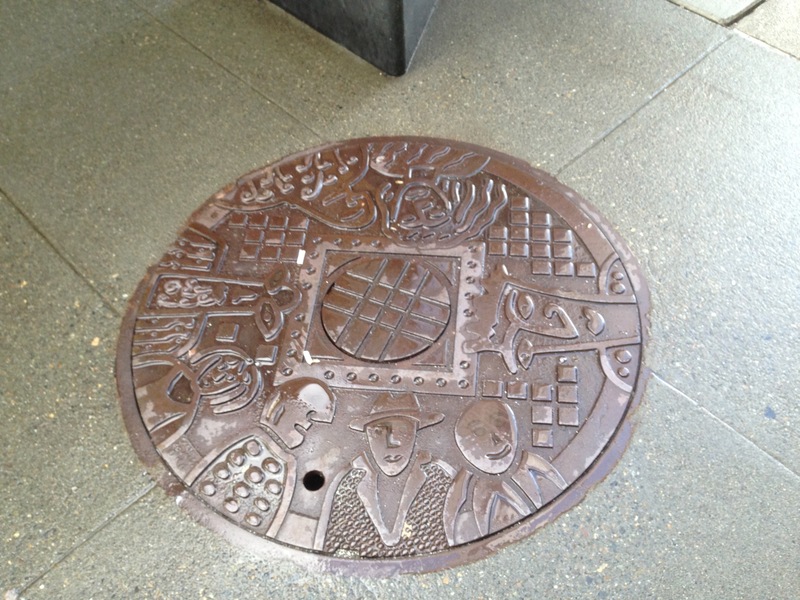 “Manhole cover on Seattle street 2017,” photo by Theresa Barker. Like mindfulness, right? I remember realizing when I was around 30 that I never felt in the moment. I am much better at it now, but still not good enough by any stretch! I’m probably not that good, but I was SO bad when I was young that anything is an improvement! It’s an interesting approach you have here. I think step one will to be if when I read your next installation if I remember what this one was. one week at a time…. one day at a time… and sometimes one hour at a time….